A timely, populist and controversial book that explains in an easy to understand and chatty style what problems face Britain in the UK and how they can be solved. In this book, controversial Member of the European Parliament David Campbell Bannerman puts forward a radical and creative alternative to UK membership of the European Union. Unlike many dry political tracts, this book takes a lively and engaging look at the awkward and dangerous position Britain has got itself into. 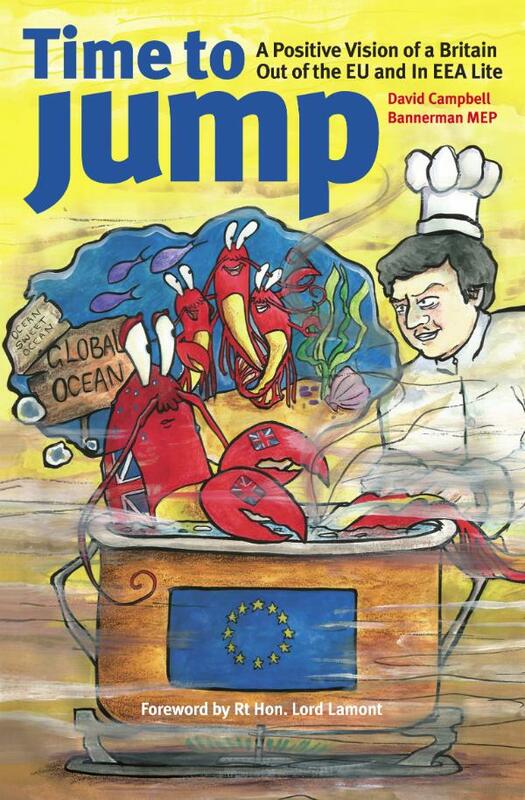 Drawing on his background in the real world outside of politics - as a leading communications strategist across industry, commerce and government - Campbell Bannerman explains in easy to understand terms and with a chatty writing style exactly how it is possible to leave the EU, why the UK must leave and what we would do instead and what the benefits and freedoms outside the EU are. With the help of carefully gathered facts, figures, quotes and opinions, Campbell Bannerman argues it is time for Britain to Jump out of the EU and into a position that he has dubbed “EEA Lite”. This is a groundbreaking proposal positioned between the EEA Agreement that Norway enjoys and Swiss bilateral trade arrangements. He charts how Britain could take the EEA as a working basis and lighten it up to suit Britain’s unique strengths and needs. He sees the UK leaving the EU Single Market, but retain full access to it for UK exporters for the 8% of the UK economy trading with the EU. The 92% of the UK economy has nothing to do with EU trade, but is still forced to apply its laws will be liberated from billions in red tape. EEA Lite will allow the UK to bring in Swiss-style tougher visa-based immigration controls for EU national and to negotiate its own UK trade deals and to re-embrace the Commonwealth. David paints a picture of the UK as a new Singapore sitting off Europe, but thinking globally. of UKIP, a communications professional, a leading policy writer and Chairman of the Tory Bow Group think tank and is now a Conservative MEP for the East of England. David is based out of Cambridge.